Potatoes are one of those classic recipe ingredients that have probably been on your table more times than you can count. Hopefully, you’ve mixed things up and tried several different potato recipes (like the ones in this cookbook) so you aren’t always eating the same thing. But, even if you haven’t been…there is still time to spice up your cooking routine. You’ve got this. 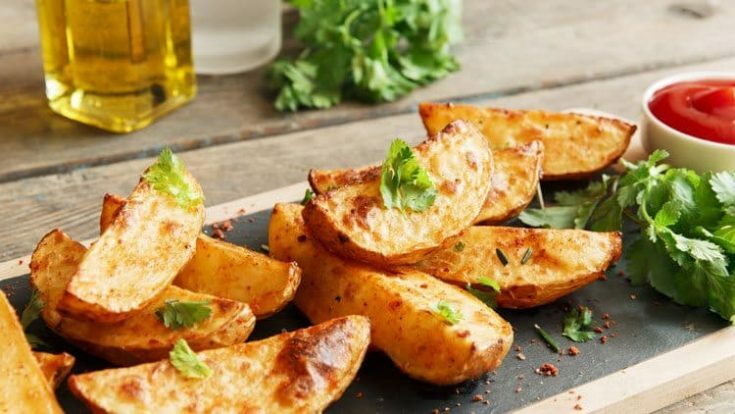 And by this, we mean a delicious Paprika Potato Wedge recipe that jazzes up your weekly potato offerings in a side dish that is, well–inspired. If you like meat and potatoes, you’re going to love this recipe. Heck, even if you’re not a carnivore, potato wedges are always a winner. We like ours paired up with a little sour cream…sometimes doused in cheddar cheese. The point is–however you flavor up your potato wedges–you’re going to have a winning side dish. Or meal, if that’s your poison. Serving a spread of appetizers at a party? You might also enjoy our Fried Green Beans, Egg Rolls, and even our yummy Gluten Free Shrimp Dip. 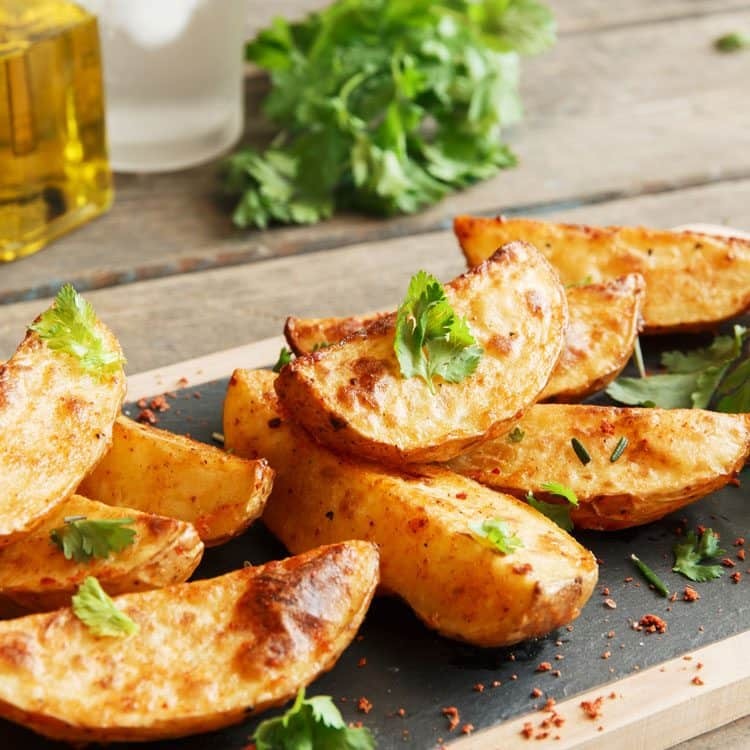 No matter which way of cooking potatoes is your favorite, you won’t be sorry when you try this delicious potato wedges recipe. It’s tasty and worth savoring every single last bite. Preheat oven temperature on 425 degrees and allow the oven to heat while preparing the potatoes. Line a baking pan with foil then spray the foil with a non stick cooking spray. Wash the potatoes under cold water then pat dry. Cut each potato into 8 even size wedges. Place the oil, paprika, salt and pepper into a zipper plastic bag. Seal and shake to mix the ingredients together. Add the potatoes and reseal. Shake until all the potatoes are covered well. Remove the potatoes and place skin side down in the prepared baking pan. Sprinkle the Parmesan cheese over all the potatoes. Bake 35 minutes or until the potatoes are fork tender. 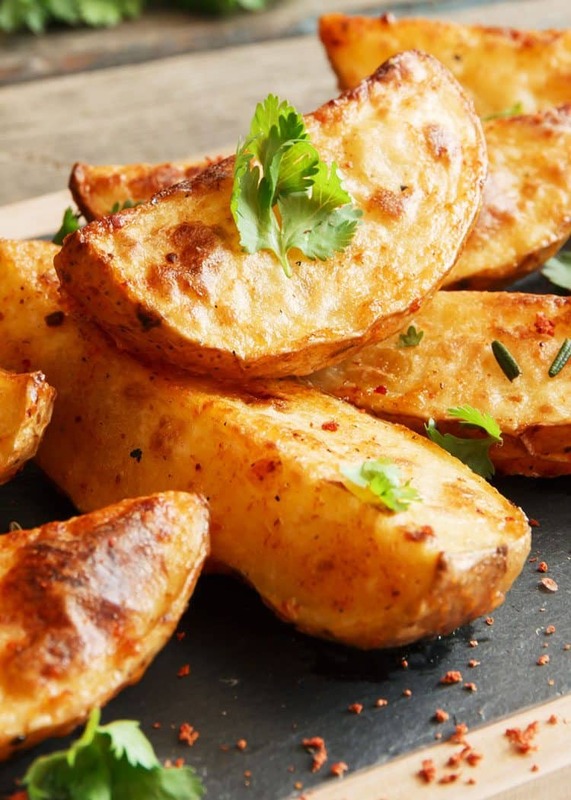 These potato wedges make a great side dish for any Valentine's Day lunch. Serve them with a little sour cream or salsa and your loved ones will be in seventh heaven.